February may be the shortest month of the year, but if Hulu’s incoming slate of film and television additions is any indication, it’s going to be a momentous one nonetheless. The greenest streamer is continuing to expand its library to an impressive extent here in 2019, and we’ll point out a handful of February’s highlights below. Movies are where we must begin, as Hulu is bringing in an abundance of must-see features next month. First and foremost is the film we recently ranked as American auteur Wes Anderson’s very best: Oscar-nominated 2001 dramedy The Royal Tenenbaums, starring Gene Hackman, Anjelica Huston, Ben Stiller, Gwyneth Paltrow and Luke Wilson as its eponymous dysfunctional family. “It’s a beautiful movie both visually and emotionally, and remains Anderson’s crowning achievement after all these years,” Paste Editor-in-Chief Josh Jackson wrote of the film last March. 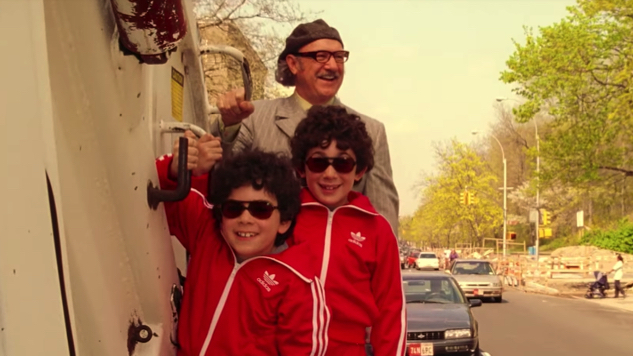 The Tenenbaum clan arrives on Hulu Feb. 1, as do a cavalcade of noteworthy movies, including (but not at all limited to) Billy Bob Thornton-starring holiday farce Bad Santa, cult Coen Brothers comedy The Big Lebowski, Paul Greengrass’ 2007 action franchise entry The Bourne Ultimatum, Oliver Stone’s Tom Cruise-starring Oscar winner Born on the Fourth of July, classic 1980 golfer comedy Caddyshack (and its 1988 sequel Caddyshack II), career highlight of the late, great Philip Seymour Hoffman Capote, Tim Burton’s 2005 Charlie and the Chocolate Factory reimagining, Richard Linklater’s high school classic Dazed and Confused, beloved baseball drama Field of Dreams, Paul Verhoeven’s American film debut Flesh + Blood, Oscar-nominated comedy Four Weddings and a Funeral, John Waters’ 1988 Hairspray adaptation, iconic 1996 basketball/cartoon mash-up Space Jam, one of the best film sequels ever made in James Cameron’s Terminator 2: Judgment Day, iconic Geena Davis and Susan Sarandon starrer Thelma & Louise, David O. Russell-directed Gulf War story Three Kings, beloved SNL spinoffs Wayne’s World and Wayne’s World 2, quotable mid-2000s comedy Wedding Crashers and a litany of James Bond films (from Dr. No to Tomorrow Never Dies), which seem to be perpetually shuffling on and off of Hulu. That’s just the first of the month, folks: Eli Roth’s Death Wish update (Feb. 23) and acclaimed 2018 documentary Three Identical Strangers (Feb. 26), among other films, follow later in February. (Note: The Sisters Brothers, previously scheduled to hit Hulu on Feb. 18, will no longer be launching on that date. That brings us around to the TV of it all, where Hulu is making a few more eye-catching additions. First and foremost among those is the complete second season of FX’s Legion, the Noah Hawley-created, Emmy-nominated psychological drama series starring Dan Stevens as its eponymous Marvel superhero, aka David Haller, who spends years believing he’s suffering from schizophrenia, only to realize he is actually an incredibly powerful mutant. The acclaimed psychodrama’s second season concluded last June—around which time the show was also renewed for a third—and notched a 90 percent score on Rotten Tomatoes, just one percentage point down from its first season’s score. Legion season three is expected out sometime this year, so if you need to get caught up beforehand, Hulu’s one place to do it, starting on Feb. 3. Two days earlier, however, comes “Down,” the latest episode of Hulu’s innovative Blumhouse horror anthology Into the Dark, which follows “a pair of office workers [who] get trapped in an elevator over a long Valentine’s Day weekend, but what at first promises to be a romantic connection turns dangerous and horrifying in this … mash-up of rom-com and horror film genres.” Later, on Feb. 8, comes the complete debut season of PEN15, a Hulu original the streamer calls “middle school as it really happened. The “adult comedy” stars Maya Erskine and Anna Konkle as fictionalized versions of themselves as 13-year-old outcasts circa 2000, struggling to fit in a world “where the best day of your life can turn into your worst with the stroke of a gel pen,” and where you can lose all your cool points by unwittingly joining a certain club. Two other noteworthy licensed shows arrive on Hulu during the month’s tail end, as well: The complete third season of Stan Against Evil, IFC’s horror-comedy series starring John C. McGinley, hits Hulu on Feb. 20, followed by the complete ninth season of FX animated spy comedy Archer, Archer: Danger Island, on Feb. 25. See Hulu’s complete slate for February below.